HMV opens first Techshop driven by demand for headphones and gadgets | What Hi-Fi? HMV is to open a store in London specialising in selling technology and gadgets. The HMV Techshop in the City of London will open in time for Christmas on a short-term lease. Driven by growth in gadgets and especially headphones, the store is currently only set to be open over Christmas but HMV has the option to extend the store's lease. The store could also be joined by other Techshops across the UK, with HMV promising to open another store in London in time for Christmas. 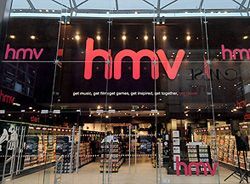 Ewan Pinder, HMV head of technology, said: "HMV's remit has always been to give its customers the widest-possible access to music, film and games, however they want to discover and enjoy them. "So our move into personal technology products, including through this new-style store, is actually a very natural next step for us that supports our continuing transformation into a broad-based entertainment brand. "Headphones, in particular, are really taking off in a big way, and are set to be among the 'must-have' gift items this Christmas." HMV has already benefitted from the boom in designer headphones led by brands such as Beats by Dr. Dre. Earlier in the year HMV was forced to agree a refinancing deal worth £220m in an effort to revive the company's fortunes amidst falling CD and DVD sales.